Julie Evans is the CEO of Project Tomorrow (www.tomorrow.org), an internationally recognized education nonprofit organization that focuses on improving learning opportunities for student through the effective use of STEM resources. Dr. Evans has been CEO of this organization since 1999 and during that tenure has created several innovative initiatives to impact education including the heralded Speak Up Research Project which annually collects and reports on the authentic views of 500,000 K-12 students, parents and educators on education issues each year. 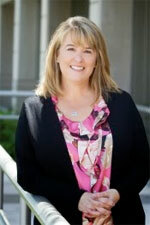 Dr. Evans serves as the lead strategist and chief researcher on the Speak Up Project as well as leading research efforts on the impact of mobile devices, digital content and blended learning models in both K-12 and higher education. Over the past thirteen years, 5 million K-12 students, teachers and parents have participated in the Speak Up Project representing over 35,000 schools from all 50 states, the District of Columbia and around the world. Prior to this position, Dr. Evans enjoyed a successful career in national and regional sales and marketing management with Unisys and two education technology startups. She is a graduate of Brown University and earned her doctorate in educational leadership from the University of California, San Diego. 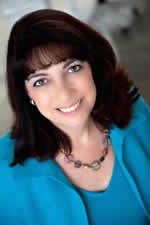 She serves on several boards and advisory councils including the Project Tomorrow Board of Directors, the FETC Advisory Board, the NCTET Board, Blackboard’s K-12 Advisory Council, the THE Journal Editorial Advisory Board and the Reaching At-Promise Students Association (RAPSA) Advisory Board. 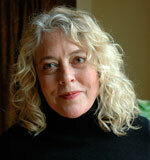 Dr. Evans is a frequent speaker and writer on K-12 and higher education issues around digital learning. In November 2015, she was named one of the Top 30 Technologists, Transformers and Trailblazers nationwide by the Center for Digital Education. Pilar is the Program Coordinator for the Tomorrow’s Teachers Initiative. 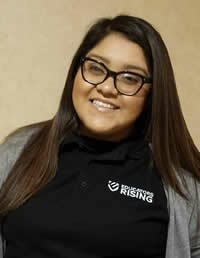 She manages event and programs for the Educators Rising and Youth Teach 2 Learn programs. Native to Orange County, she herself took advantage of these program services at her High School. She attended San Jose State University as a first generation student and graduated with honors in 2014 with a Bachelor in Communications Studies. Pilar’s passion for education pushed her to found an organization at SJSU through the Associated Students, which is still active. Academics Leaders and Mentors Aiming for Success (A.L.M.A.S.) serves as a liaison between students and communities, through cultural and educational services. 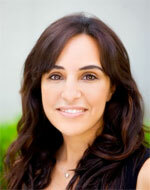 Pilar has previously a strong past of managing programs at science centers throughout California. In her free time Pilar enjoys traveling, volunteering and staying involved in her community. Jenny Hostert is Project Tomorrow’s Speak Up Operations Manager. 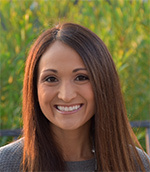 A native of San Clemente, California, Jenny grew up and attended college in Southern California, graduating with a BA in Sociology from UC-Santa Barbara in 2006. She joined Project Tomorrow in 2010 to lead the Speak Up National Research Project after spending 3 years working at Casa de Amma, a residential community for adults with disabilities. Jenny has a heart for non-profits, and is passionate about the ins and outs of making them successful. Jenny’s expertise includes Speak Up outreach communication and promotion efforts, technical issues and website management, and getting the Speak Up data back into the hands of the stakeholders. In her free time, Jenny enjoys weekends at the beach, traveling abroad, and spending time with family and friends. Tina Kreditor is the Accounting Manager for Project Tomorrow, joining the team in 2007. She received her Bachelor of Science Degree in Accounting from the University of Southern California. She earned her CPA certificate in 1990. After working at Price Waterhouse, Tina worked for a residential home builder, spent 10 years working in Real Estate Investments at Pacific Life in Newport Beach, and currently has her own business providing accounting consulting for closely-held companies. In her free time, Tina enjoys scrapbooking, reading and cheering on her USC Trojans!! Judith Marciante has been the designer and front end developer of Project Tomorrow’s website since 2000. She has a BA in English and design, and has done post-graduate work in art, design and web development. Prior to starting her own web design business, she was a founding partner and Creative Director of Red Dot Interactive, one of the first interactive multimedia development companies in San Francisco. She focuses on responsive web site design, interface design, programming, web maintenance, and consultation for innovative businesses and non-profit organizations. In her free time, she enjoys playing mandolin and ukulele, urban walking, beach-going with her dog, and spending time with friends and family. Nayssan joined the Project Tomorrow team as a Research Analyst in 2014. She recently earned her Ph.D. with an emphasis on Learning, Cognition, and Development from the School of Education at the University of California at Irvine (UCI). She also holds an M.A. in Education from UC Irvine and a B.A. in Psychology from UCLA. Her research focuses on understanding how students’ attitudes towards learning differentially inform their achievement-related choices, aspirations, and long-term success. Nayssan lectures on the subjects of adolescent and social development at UC Irvine, as well as collaborates with the California Motivation Project (UC Irvine) and the Quantitative Education Study Team (California State University, Fullerton). In her spare time, she enjoys traveling and trying new foods. Julianne Vu joined Project Tomorrow in the summer of 2017 as an intern, and is now working as a Project Assistant. 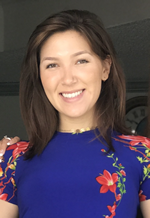 A Placentia, CA native, she is in the process of completing an undergraduate degree in Education Sciences and another in English with an emphasis in Creative Writing at the University of California, Irvine. She is set to graduate by June, 2019. She realized that she has a passion for education while completing the International Baccalaureate program at Valencia High School, and she wishes to always be involved in the education of young adults. In her spare time, Julianne enjoys watching T.V., playing with her puppy and improving at weight lifting.